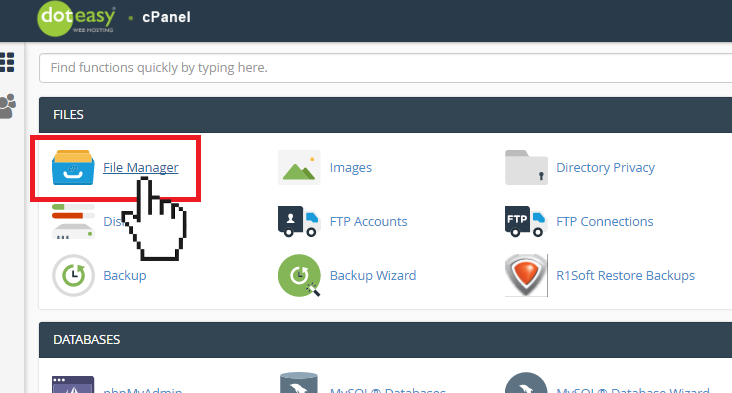 The cPanel File Manager allows you to manage your website through HTTP (ie. a web browser) rather than an FTP application. This way, you can upload, create, edit or delete files, organize files in folders, change file permissions, and more without the need for FTO or other third-party applications. If you are an experienced FTP user, you may find the cPanel File Manager not as sophisticated as most FTP tools, but it does give you all the necessary functionality necessary to manage your website.